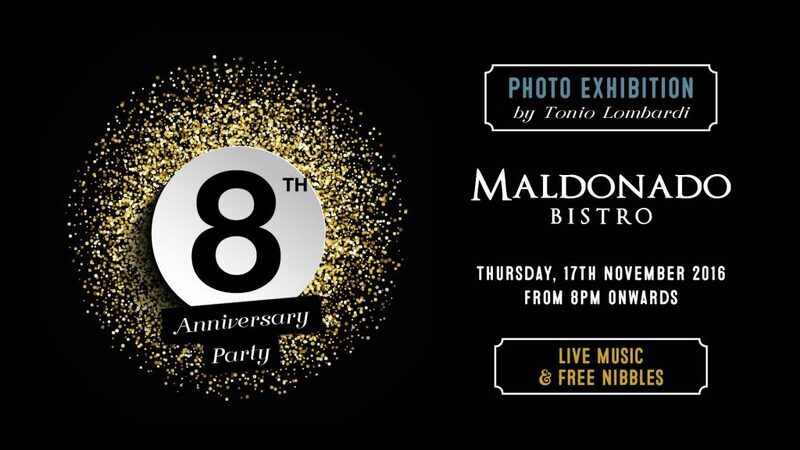 The date is set to celebrate our 8th anniversary at Maldonado Bistro. We are looking forward for another fun night where we catch up with our friends and customers. Coinciding with our anniversary party we will be launching a new photo exhibition by one of Malta’s finest photographers, Tonio Lombardi. More information to follow. Live music also planned with lots of complimentary nibbles to wash down perfectly with the cocktails and wine served from the bar. We hope you all can find the time to drop in. What better things do you have to do on a Thursday night? ?